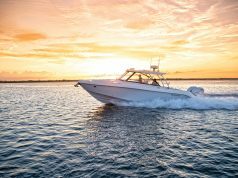 The Cobia 320 CC (32′ LOA, 10’3″ beam) builds on the company’s success in the center console segment with a combination of advanced styling, a smart double-duty fishing and family layout, and big-water running performance. 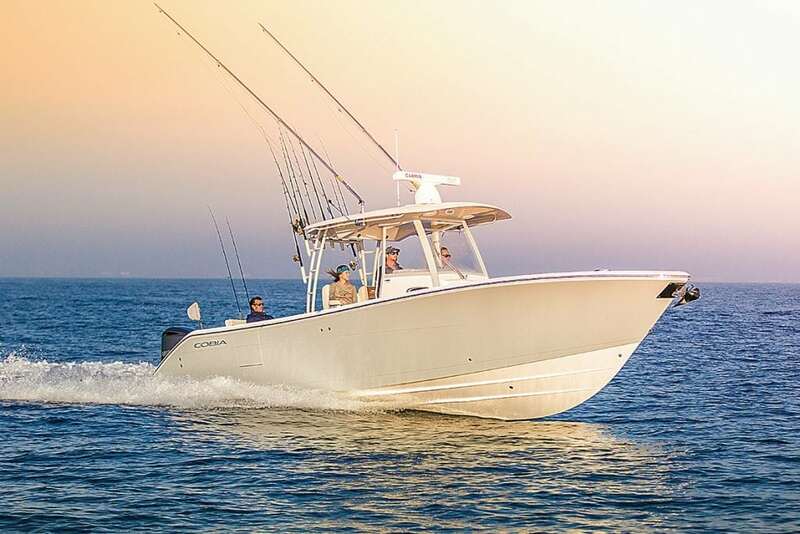 With a maximum horsepower of 700 and a 275-gallon fuel capacity, the Cobia 320 CC is a spacious fishing platform with a range that can still be easily trailered to fishing tournament locations or inland lakes. 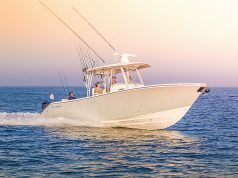 Twin 35-gallon pressurized livewells, more than enough tackle storage, and holders for more than 20 rods mean you’ll be ready when you reach the long-distance fishing grounds where the big ones are biting. 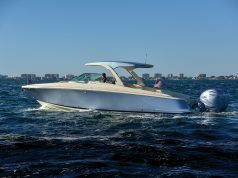 For those looking for the finer touches, the 320 CC has a hidden bow table with electric lift, an elegantly featured step-down head with 6’2″ of headroom, and a deluxe cushion package available in four color styles.